The Ambazonian Communications Secretary, Hon. Chris Anu has asked Southern Cameroons parents and guardians to keep their children and wards at home saying no public or private school is safe for any academic activities in the Federal Republic of Ambazonia. 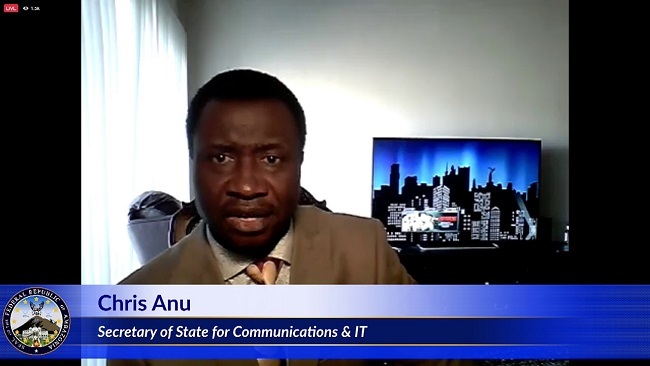 Chris Anu in an audio message aired today said French Cameroon government forces have placed nearly all primary, secondary and high school campuses in Southern Cameroons under lock and key and many of the premises are serving as military barracks for the invading Francophone troops. The Interim Government spokesman noted that the current French Cameroun military operations deep inside Ambazonian territory posses challenges in the country and has made it difficult for the Ambazonian Interim Government to guarantee the safety and security of Southern Cameroons pupils and students. The Ambazonian Communications Secretary further pointed out that the issue of back to school is the sole responsibility of the parents. Chris added that French Cameroun forces have been targeting Southern Cameroons teenagers.